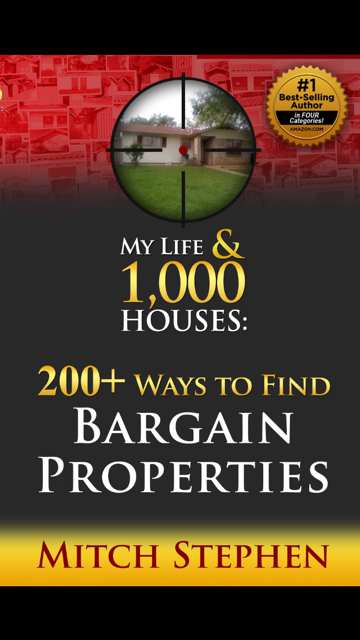 In the pages of my New Book I give examples of how I’ve found bargain properties and a step by step guide to setting up your business brand. Some of these topics will be mundane in their explanation, but they are all effective when applied with thought and conviction. To make the book less mundane I have elected to intersperse stories from my real life experiences. If you are a meat and potatoes kind of person and just want the facts, you may be tempted to skip the stories. 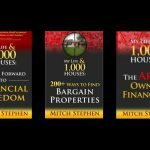 I have real estate investing courses costing $1000 or more which do not cover 1/10th of the solid, step-by-step, actionable details Mitch spells out in this book. 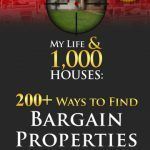 Finally, someone who has actually done hundreds of deals tells us exactly what to do, and how to do it. 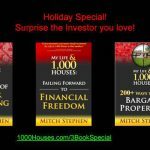 Any ONE of the hundreds of resources he gives as a bonus are worth a hundred times the price of the book. Get lots of sleep before you start reading it because you won’t get any after you do. Your mind will be reeling with the possibilities. 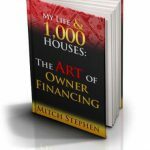 I was averaging buying a house every month until I read this book. Now I average about a house a week!! His techniques are producing amazing results that are becoming life changing for me. Please…That is what I thought until I read it. Then the book blew my doors, windows, and roof off! 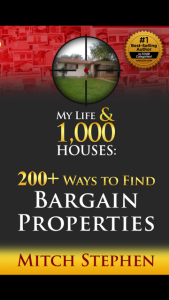 I have been investing for 25 years and know a good number of ways to find bargain properties. I went back through the book and checked off those that I use, those I had heard of, those that were crazy, those I would never use, and those that blew my doors off (meaning those that I had never heard of, were brilliant and I should have been using all along). Yeah, I am probably OCD too. 5 – Ways I use regularly. 10 – I use sometimes. 75 – I had heard off but did not fully understand until I read him explain them. Bottom Line – Over 80% was new information if you count those I did not really understand. Then I looked up who wrote it. If Mitch Stephen explains it than you understand.